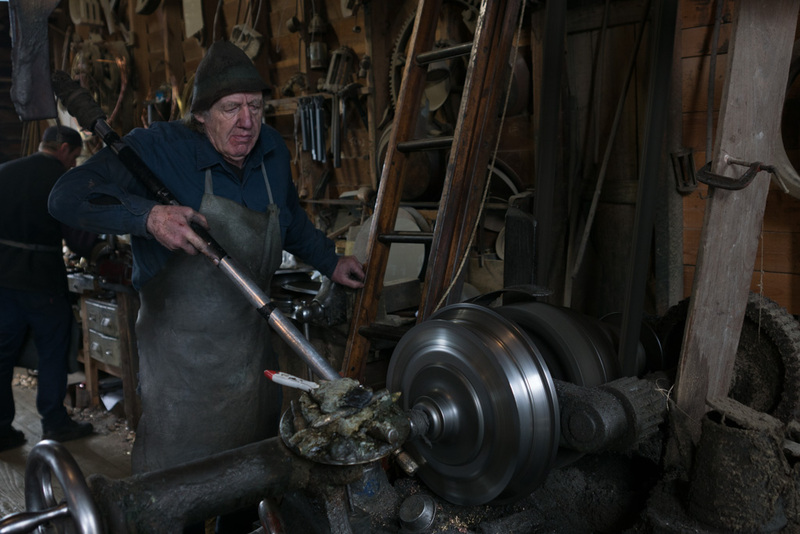 There are some awesome 19th century metal working workshops at Sovereign Hill. 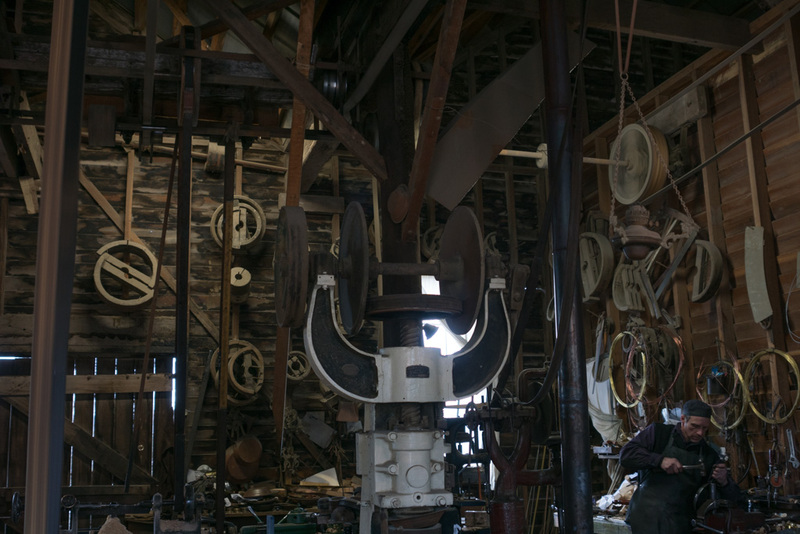 Next week, I will be visiting one that is 150 years into the future from these workshops, but more on that at the time. One of the things I did want to see while I was there, was the metal spinning. 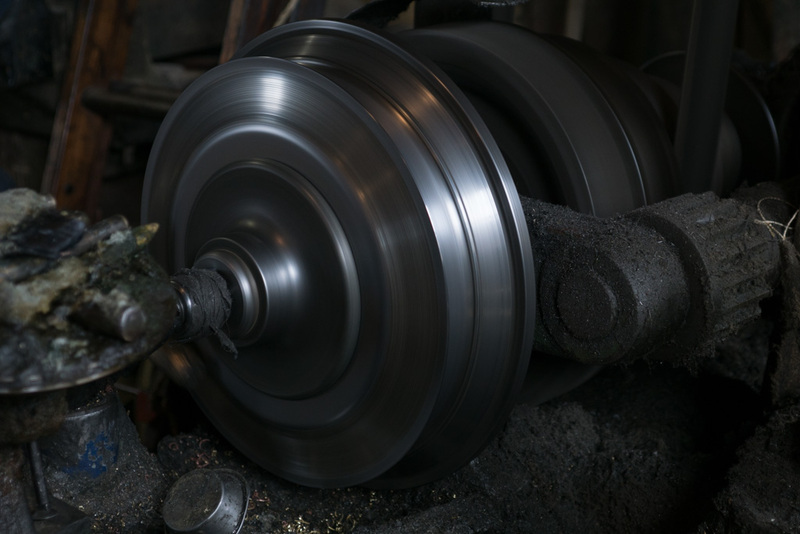 While it is a really old process, it is still very much in use today, forming things like metal bowls. Of course technology has made things easier, but you would have to be impressed with the quality of the result from the old techniques. The process here involves holding a flat disc of metal against a mold. The metal worker has a long rod that is supported against the upper arm, and against a pivot point close to the disc. 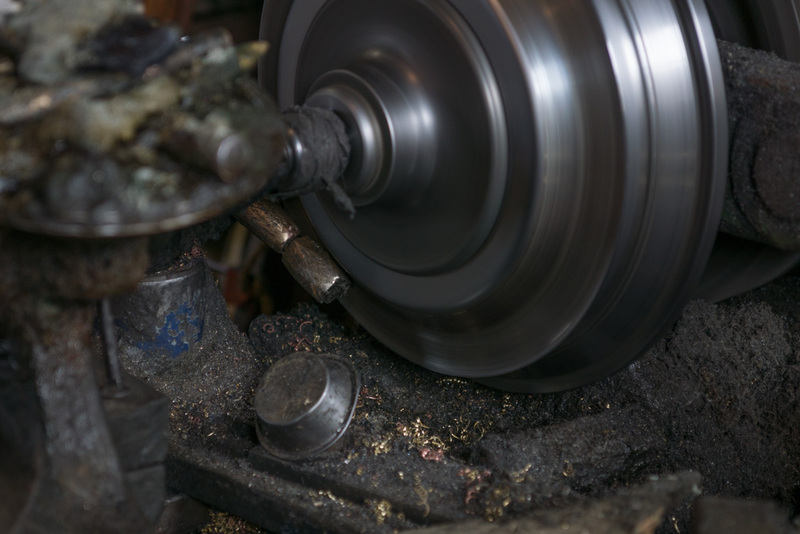 By then gently pushing selectively over the surface while the mold and disc are spun rapidly, the metal is slowly bent in until it is flush against the mold, copying its shape. I found it really interesting that as the metal was being spun, it actually curved outwards as the metal spinning stretched the metal. It was then rolled over towards the mold with the rod. This process was repeated as the metal continued to be stretched and molded to shape. I wanted to get more background about the process, especially the traditional aspects of it, but the gentleman demonstrating made very clear he wasn’t interested in sharing. A shame, seeing as he has been doing it for about 50 years apparently, and would have a wealth of knowledge. He’d also have shoulders of rock doing this for so long. 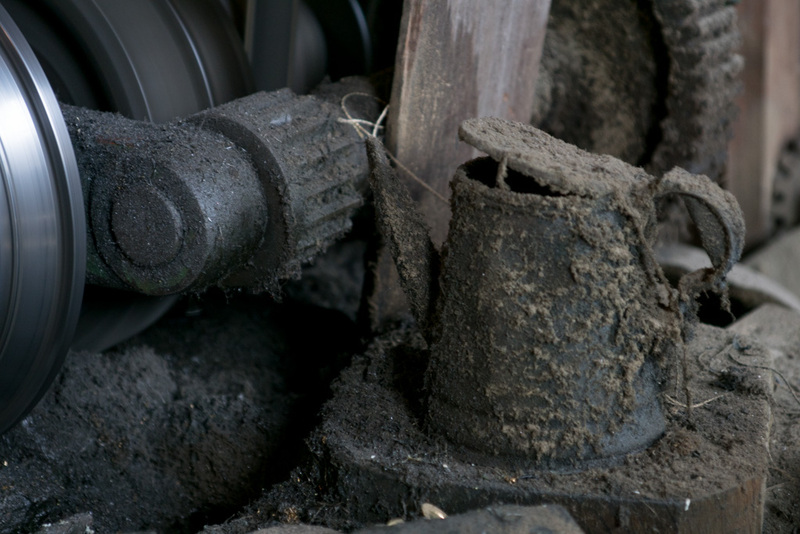 Think some areas of the workshop haven’t been cleaned in those 50 years either! 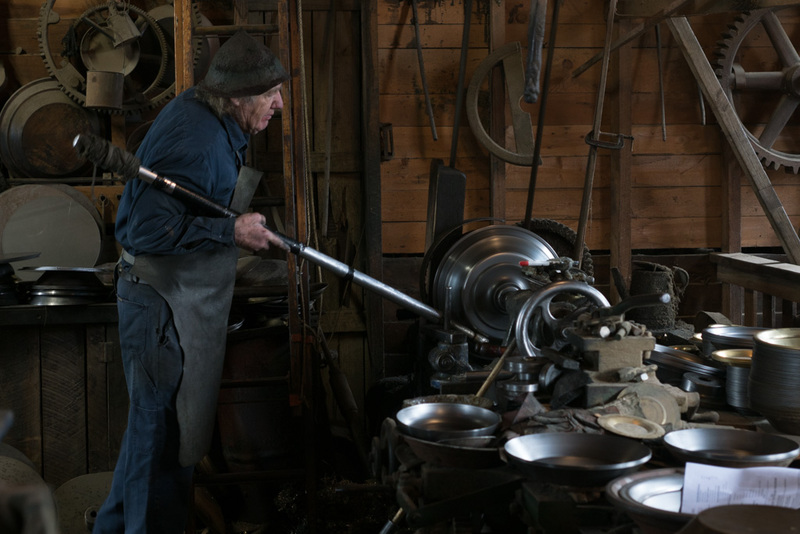 The workshop produces many of the items for sale at Sovereign Hill – bells, plates, gold panning pans etc. Bought one of those as well – cost all of $12 too. Spun items (produced by hand, or by modern methods) have a distinctive fine ribbed surface. 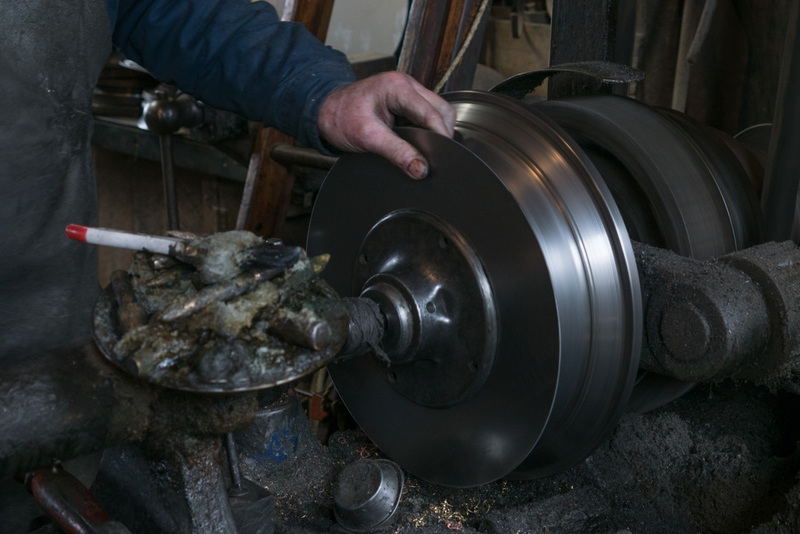 Next time you come across a metal bowl, have a look and see if you can work out if it was produced by spinning, or some other process.